Personality Brand extraordinaire Oprah cooks up a ratings bonanza stew today by combining designer Nate Berkus with hot Desperate Housewives girl Eva Longoria. Longoria has bought a house for her back woods family and wants Nate Berkus to decorate the family room. This is the perfect intersection of hot personalities. It's sure to be a good ratings grab for Oprah. The Texas home family room is designed in a Mexican inspired theme incorporating both the cultural heritage of the Longorias and their love on plants and animals. Moma Longoria has never had a dishwasher and now she has a spanking spiffy stainless steel model. Of course the entire project is sponsored and each sponsored element gets a mention. I suppose viewers are interested in where they can get the products. The show continues with Eva Longoria's basketball player boyfriend 23 year old Tony Parker from the NBA San Antonio Spurs. Add another hot personality to the stew. Something for everyone. Now comes the obligatory kissing of the Oprah ring by presenting a $50,000 ring to Sponsor a Katrina house. Celebs know that this is a good way to get and stay in Oprah's good graces. The show continues with "Desperate House Makeovers." Doing a kitchen for a couple that ripped out their kitchen and didn't have enough money to replace it. Hmmm. Good planning there. I wonder how much of the design work is actually done by Berkus and how much is done by his staff and dictated by who is willing to donate products to the show? The impression is that he does it all but I have an inkling that it's all handled by others and Berkus learns a script for his tours. Many will want to believe that he does it all but that's just not how design firms work. Berkus probably sets a design theme and his designers fill it all in. The point is that a successful personality brand is the centerpiece of a much larger organization. Just as Martha doesn't actually do everything she presents to her audience neither does Oprah or Nate Berkus. 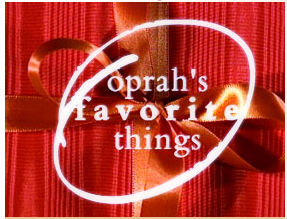 The annual Holiday marketing bonanza "Oprah's Favorite Things" is upon us. Personality brand Queen, Oprah, is flocking her fan swarm towards this years list. This year the audience is full of unsuspecting Katrina heroes. Nurses, hospital workers, animal rescue workers, shelter workers, guy who sold White Sox world series tickets to fund trip to gulf coast with relief supplies and many others. Of course, Oprah springs it that this is the favorite things show and the audience goes crazy. This years list includes items for $25-$1600. Women in uniform applaud calmly no jumping or carrying on. Dignified. Video pieces coming out of commercials tell the stories of individual heroes. The Santas helpers who pass out the goods are from the UPS store. Even the help has become a product placement. Philosophy - Hope in a Jar face Cream- $105 for 8oz. Jar. Sony - Vaio Laptop w/DVD player $1600 – Oprah pitches the marketing spin. "Wouldn't you like to be in the airport and somebody says 'Where'd you get that?'" Not too many small business's represented on the list this year. No "success making" endorsements that will catapult a small brand to the forefront. Maybe the game of getting your product on the list is getting too difficult/expensive for smaller brands. Sony and Phillips-Stein get an extra thank you at the end of the show. It's that time again. Marketers and customers alike will have their eyes glued to Monday's Oprah show when she defines what's cool for her millions of fans. Oprah's Favorite Things show has become a major event each year as products instantly gain major cache once the queen herself endorses them. Never have we seen such an amazingly powerful infomercial. Finally, a book from the new Nate Berkus empire minted by Oprah. Personality branding at it's best. Nate Berkus: Jumped the Shark? The definitive personality brand Oprah announced today on her season preview a personal contribution of $10 million to Katrina Relief. She did not specify how her donation would be used. This is an attention getter people. It's significant and that's the point. It will get PR attention and thereby propel the both the Oprah hurricane relief efforts and the Oprah brand itself. The Oprah brand masterfully knows her customers fans. 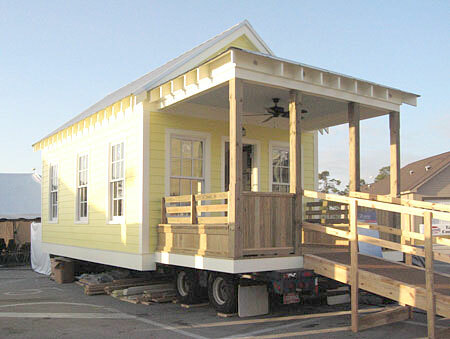 She also announced a program through here charity to furnish "Katrina Homes." Designed like a wedding registry this allows her fan base to "shop" for household items to sponsor for Katrina Homes. This is a potentially powerful relief fundraising model as it taps into the interest that many Oprah fans have in shopping and allows them to tell themselves a story about how their monetary contribution is being used. If you read the site carefully it includes a disclaimer saying that funds donated will be used to meet the greatest needs. While you can tell yourself that you are sponsoring x number of toasters for Katrina relief the reality may be that your funds are used differently. 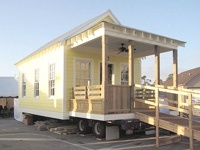 I think there will be a parade of companies donating "stuff" for the Katrina homes as product placements on the Oprah show this year. The Oprah brand is a powerful entertainment/marketing force and they have found another vehicle to connect Oprah to her customer fan base and advertisers products. Without the marketing connections there isn't the money that fuels the entertainment. Regarding Katrina relief efforts we are seeing the presentation of different stories that appeal to different world views. Paging Seth Godin. Relief fundraising is being tied to all sorts of products and celebrities. Whatever your world view or interest there's a relief effort that is tailor made for you. From environmentalists to faith based efforts. Musicians are appealing to their fans with benefits and sales donations. Soap opera TV stars do telethons. Jay Leno does his celebrity signed motorcycle thing again. Even the big charities offer a choice of story that you are contributing towards. Are you supporting the secular Red Cross or the Christian Salvation Army? Are you saving sick, scared puppies or are you volunteering your time as a medical first responder? In a long tail world even disaster relief has fragmented into into multiple channels designed to appeal to different world views. On this day, August 14, 1945, comedian Steve Martin is born in Waco, Texas.